Move over, craft beer. There’s a (relatively) new player on the market. Around our region, craft distilleries are popping up, and they’re taking advantage of a major asset in northern Illinois: endless miles of locally produced grain. The bold and inventive flavors you’ll find at these local distilleries reflect the adventurous personalities of their creators. And, whether tasted alone or in a special cocktail, the smooth, unique flavors in these craft creations stand apart. Meet the inventive people and distinguished drinks behind four distilleries in northwest Chicagoland. Stop by for a tasting, a tour and a unique take on classic spirits. Most of these are distributed in limited quantities, so your best shot is to get it straight from the source. This distillery adds one unique, but very useful ingredient to its bourbon whiskey. The Straight Bourbon whiskey is a top seller at this distillery, which opened in 2013. The whiskey’s smooth finish has helped it win several medals at various tasting competitions. While you’re visiting the tasting room, try the Bourbon Slush. It starts with the 87-proof Straight Bourbon, mixed in with frozen lemonade, frozen orange juice and black tea – all served frozen with a splash of ginger ale. Also on the menu are rye whiskey and vodka. These award-winning spirits are made from grains raised right on the Whiskey Acres farm. 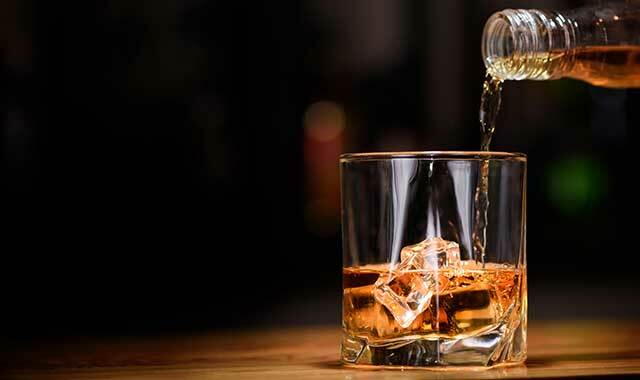 Around the country, bourbon is rising in popularity. At Copper Fiddle Distillery, 532 W. Illinois Route 22, Ste. 110, it’s a staple. Customers call the 92-proof bourbon very smooth, a comment that owes a lot to Copper Fiddle’s distillation process. Copper Fiddle Distillery, which opened in 2014, offers plenty of cocktail choices, including the Fiddle Manhattan, which comes with bourbon, apple juice, cherry juice and bitters. The popular Copper Fiddle Mule combines bourbon with lime juice and ginger beer. It’s served, of course, in a copper mule mug. “We sell a lot of those, but this bourbon goes well with everything,” Robinson says. Also on the menu are two kinds of rum and gin, including a “Fyren Gin” that comes with a Serrano pepper in the bottle. The pepper is charred and roasted to provide the perfect balance of flavor and heat. The vodka at this relative newcomer is odorless and tasteless – just the way co-owner Mark Stricker likes it. The 80-proof vodka at Rush Creek, 1501 W. Diggins St., is crafted clear and smooth through a special filtration process. The grains that created this vodka were grown just a few miles up the road by a local farmer. Vodka cocktails at Rush Creek are mostly simple and include choices like the gimlet, mixed with lime juice and a lime garnish. The distillery, which has been open for a year, also sells gin and two types of whiskey. But no matter what you choose at Rush Creek, you’re tasting something that’s been crafted in a unique and inventive manner. “We’re here to make our own products, and if we like it and our customers like it, we’re doing just fine,” he says. The Bennett Mill Single Barrel Straight Bourbon is the go-to drink at this distillery, and for good reason. It’s so smooth that many people choose to simply enjoy it on the rocks. This flavorful, 90-proof bourbon is full and well-rounded, with notes of spicy rye, vanilla, maple syrup and toasted nuts – flavors that speak loudly because of Fox River Distilling’s unique approach. The bourbon is aged in 30-gallon barrels, and when it’s time for bottling, one barrel comprises a single bottling run. So, you’re only tasting the contents of that single barrel. Some distilleries, by contrast, will blend together multiple barrels. Since each barrel is somewhat unique, you can expect slight variations in flavor from bottle to bottle. “It just adds to the attraction, as more and more collectors look to fill out their bourbon libraries,” Orlando says. Bourbon isn’t the only smooth-tasting spirit on the lineup at this four-year-old firm. Smoothness is also a signature quality of the Herrington Premium Vodka. “Quite frankly, for things like vodka, you shouldn’t have a noticeable taste, but customers tell us that it tastes good compared to others,” Orlando says. This entry was posted on Monday, September 24th, 2018 at 12:00 pm	and is filed under Dining Guide, Top Posts. You can follow any responses to this entry through the RSS 2.0 feed. Both comments and pings are currently closed.